Where Were The Other Eleven? The Morris brothers, Wiley (Tobe) and David George (D.G. ), had 24 children between them. Tobe had 11 and DG had 13; all born between 1863 and 1899. Of these, there was a full dozen Morris males eligible to serve in one war or another. Eight met the age requirements stipulated to complete the WWI draft registration. Yet, the family only has one photo of a man in a uniform, and that is of David Crocket Morris, the eighth child, fifth son, of D. G. Morris. David Crocket was born 4 March 1891 in the Indian Territory of Oklahoma, and was the son of Sarah Parks (Ratcliffe) and David George (DG) Morris. 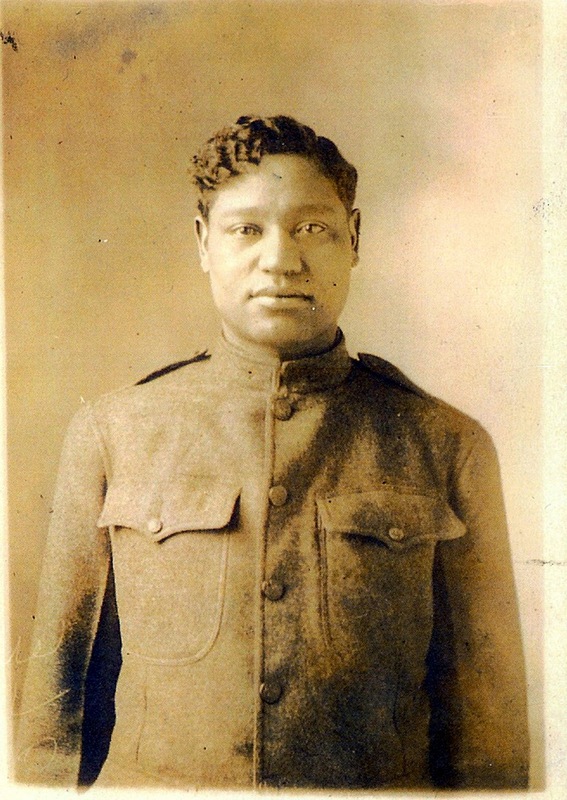 Like most of DG’s sons, he went off to Nevada to find his fortune right before the war, and while there he and brother DeWitt registered for the WWI draft in 1917. At home in Oklahoma in and around Nowata, the other brothers Crowder and Wiley also registered. De Witt was already reaching 40 by 1915, and eldest brothers Cleveland and Schuyler did not appear to ever register. Brother WyJay died in a drowning accident in 1908. 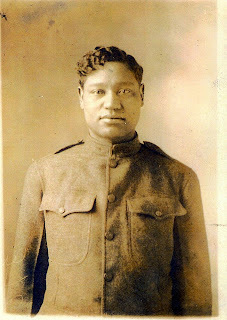 It is said that younger brother Crowder also served in WWI. However, the only proven service-man of this generation is David Crocket, who is photographed donning his military uniform. Note: Charles Roscoe, a grandson of DG also served in WWI. 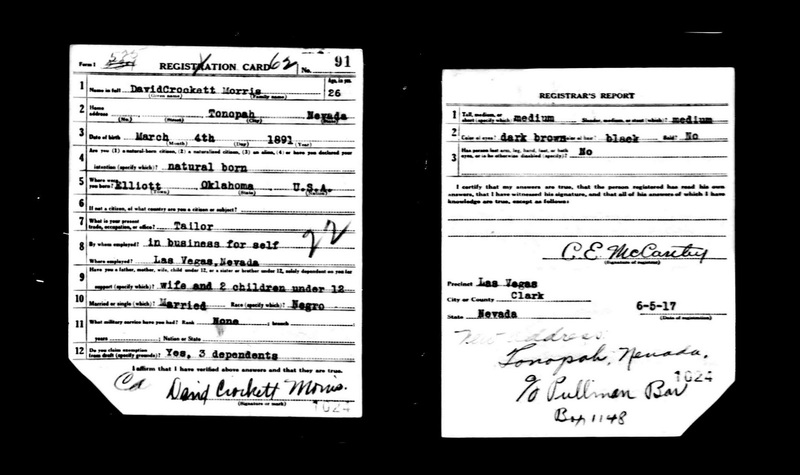 Although Tobe had five sons, only one of these offsprings’ WWI draft registration has been located. 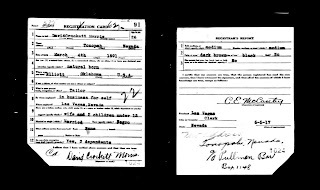 Thomas, his fourth son, born 15 Dec 1873, registered for the draft at the age of 45 years old. His youngest son born in 1879 was eligble for the registration, but, as of yet, no record has been found. During World War I there were three registrations. The first for men between the ages of 21 and 31, born between 1886 - 1896. This draft began 5 June 1917. 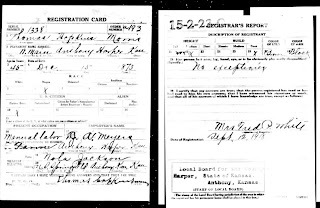 The second draft registration began June 5, 1917. It included men who reached the age of 21 after June 1917; born between 1896 - 1897. (A supplemental registration was held on August 24, 1918, for those who turned 21 years old after June 5, 1918). The third registration was held on September 12, 1918, for all men ages 18 through 45. This included those born between 1873 - 1900. 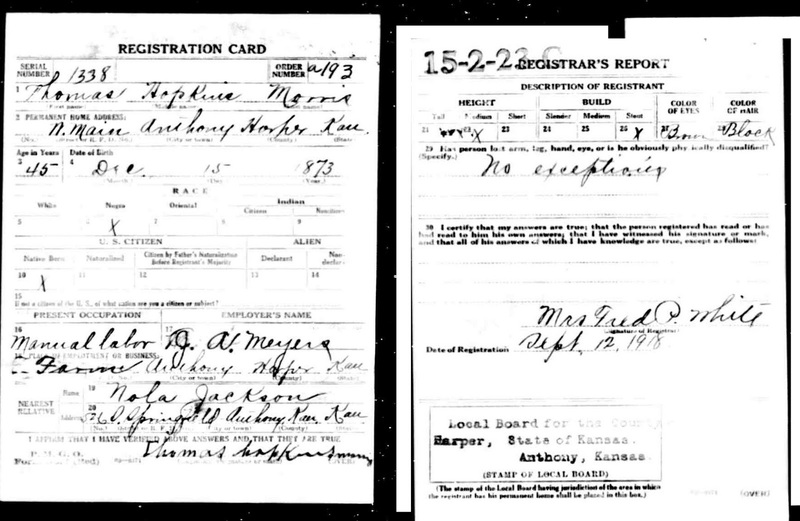 Cleveland, born in 1868, may not have deemed it necessarily to register due to his advance age, as with Schuyler, whose draft registration was not found in Nevada, Kansas or Missouri. Crowder’s service information has not been researched. This is great information. Informative and well written. Thank you for sharing!